One of Southeast Asia’s largest economies is quietly engaged across Africa. 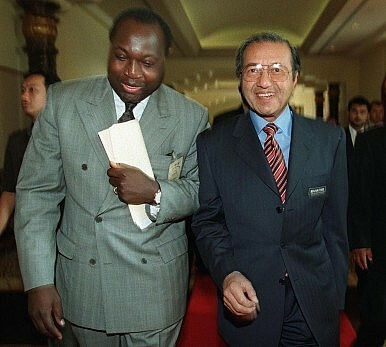 Malaysia’s modern relations with Africa have their roots in the late 1980s and the politics of Mahathir Mohamad, Malaysia’s long-time former prime minister and Asian strongman. During Mahathir’s term, which lasted from 1981 until 2003, Malaysia redefined itself entirely and underwent rapid economic development, which lifted the country into the upper middle income group of countries. During this time, Malaysia’s international relations were seen as primarily favoring FDI, and no one personified this more than Mahathir. His authoritative political style and nationalistic worldview put Malaysia’s economic development above all else. Simultaneously, Mahathir combined his advocacy for the Third World with pragmatic commercial diplomacy in order to support Malaysia’s economic development. For Mahathir, Africa was the last frontier. In his eyes, Africa’s poor, developing, and ex-communist states were an opportunity for Malaysian corporations to develop, gain valuable overseas experience, and quickly produce substantial revenues. These revenues could subsequently be used for Malaysia’s domestic development. Mahathir’s arguably Anglophobe worldview made African states appear even more attractive and presented themselves as a chance to enter markets that were not yet fully under the control of Western corporations. His political and diplomatic support allowed Malaysian corporations to expand internationally, develop new consumer markets, and find investment opportunities in Africa. Petronas, Malaysia’s omnipotent national oil company, is a prime example of the rapid economic development that occurred throughout the 1990s, and how closely this development was linked with Malaysian overseas engagement. Domestically successful, Petronas started its African expansion with investments in Sudan that were politically brokered by Mahathir. Since the end of Mahathir’s term in 2003, Malaysian corporations have continued to engage across Africa, though arguably with less of centralized political will behind it than under Mahathir’s administration. A number of factors set Malaysia apart from other Asian investors in Africa today, some of which will become even more important in the future: Malaysian investments in Africa are highly diversified; Malaysia’s emphasis on being a modern Muslim country opens up markets that are mostly closed to Chinese, Indian, and Western investors; and Malaysia exercises significant soft power across African states. While Malaysia’s investments across Africa are more diversified than Chinese investments, Malaysian corporations in fact also cover similar grounds as other Asian investors. Petronas, Malaysia’s national oil company and key financier of the country’s national budget, for example is engaged in up- and downstream activities across Africa. Focusing largely on Northern and Eastern African states, the African production is the most important region for Petronas’ overseas production and accounted for roughly one third of the firm’s international production (and ten per cent of its overall production) in 2014. According to recent media reports, Petronas is trying to divest smaller assets in Africa to concentrate on projects in China and Latin America as a result of domestic political pressure, internal restructuring, and the global commodity crisis. Yet, the full extent of these measures remains to be seen, as are the effects of the global commodity crisis on Petronas’ operations in Africa. Beyond crude oil, another key investment area that sets Malaysia apart from other investors is its engagement in Africa’s palm oil industry. The global palm oil industry is currently worth around $50 billion a year, with significant growth projections for the next decade. Malaysia and Indonesia are the world’s largest palm oil producers, together accounting for around 80 to 90 percent of global production. Malaysia in particular is rapidly expanding into Africa, which is seen as the next growth market in part because of the restrictions put on land acquisition and development in Southeast Asia itself. Malaysian multinationals such as Sime Darby, Felda Global Ventures, and IOI Global as well as Singapore-based Wilmar International are only a few examples for corporations expanding into Africa’s palm oil sector. Africa is attractive to Malaysian (and Southeast Asian) palm oil producers for a number of reasons. The oil palm is already native to West African states such as Benin, Cameroon, Liberia, Nigeria, and Sierra Leone, as well as the Democratic Republic of Congo (Nigeria is the largest among the African producers and was the fifth largest globally in 2015). Africa in total is now the world’s third largest market for palm oil, behind only Indonesia and India. African produce therefore does not necessarily need to exported, but can be marketed within Africa. The lack of appropriate local regulations and restrictions across Africa might thereby be in the short-term interests of Southeast Asian investors, but is generally worrying. Similar to other industries on the continent, many African states lack standards to limit risks associated with the palm oil industry, most frequently environmental damage and limited benefit for the local population. How serious these risks are can be seen in Malaysia and Indonesia, where the palm oil industry is at the heart of forest loss threatening thousands of species, causing extensive carbon emissions, and disenfranchising local communities. Other than commodities, a key economic factor contributing to Malaysia’s unique standing in Africa (and setting Malaysia significantly apart from other investors) is its ability to serve Islamic industries. These include the global Sukuk market (or “sharia-compliant” bonds) as well as halal goods and services. It is estimated that roughly 45 to 50 percent – or about 500 million people – of Africa’s 1.1 billion-strong population are of Muslim faith. Malaysia has two distinct advantages when it comes to African Muslims. First, ever since Mahathir’s initial expansion into Africa, Malaysian external relations have used a Muslim narrative when expanding into Muslim countries. In Malaysia’s external relations with Sudan for example, Muslim narratives have always played an important role and therefore now appear genuine. Malaysia has in fact been emphasizing cooperation among countries in the Ummah – the collective community of Muslims – to enhance FDI flows since the 1990s. Second, Malaysia has already been able to market and position itself not only as a global Islamic finance hub, but also as both an exporter and certifier of halal goods and services. Malaysian industries can therefore rely on existing structures when further expanding across Africa or intensifying existing linkages. Islamic faith and population growth projections for Africa underline the growing importance of Islamic industries in the relations between Africa and Malaysia. Malaysia is in a position to influence the normative dialogue across Africa in these industries and further enhance its soft power appeal. What remains to be seen is how China’s economic slowdown and the global commodity crisis will have affected demand for Islamic goods and services across Africa’s Muslim lower and middle classes. Finally, Malaysia’s significant soft power, as well as its cultural and political-economic attraction, set the country further apart from other Asian investors in Africa. Malaysia actively lobbies its development model within an African development narrative to the continent directly. In 2013, Malaysian Prime Minister Najib Razak wrote in a South African newspaper that Africa should try and emulate Malaysia’ reforms towards open markets, the critical role of the private sector for economic development, the advantage of trade agreements and regional economic integration, and the key role of transparency and accountability. Emphasizing the success of its economy highlights that Malaysia sees itself as a role model for African development. For African policymakers on the other side, Malaysia continues to remain an example that the export of commodities (and oil in particular) can in fact be compatible with the successful export of manufactured goods. In addition, and particularly compared to China, Malaysia is easy to identify with for African policymakers. It has a relatable population size, a politically less-sensitive framework, diversified investments on the continent, and oftentimes African countries share the Muslim faith with Malaysia. Finally, Malaysia’s multicultural and multi-ethnic society, its relaxed visa policy for other Muslim countries, and its affordable and high-quality higher education system makes it a particularly attractive destination for African students. Since around 2010, there has been a significant rise in African enrolment at Malaysian universities, a trend supported by education initiatives of key Malaysian corporations such as Petronas. However, not all that glitters is gold and Malaysia also lags behind other Asian investors in Africa. Most visible are Malaysia’s shortcomings in its diplomatic engagement with Africa. Of all major Asian investors, Malaysia operates the smallest number of embassies on the continent. Currently, Wisma Putra, the Malaysian Foreign Ministry, operates 13 diplomatic representations across Africa (in comparison, Indonesia: 16, India: 29, Japan: 34, China: 49). Even when compared to other ‘second-tier’ (non-EU, US, China) investors in Africa, Malaysia operates a small number of diplomatic representations (Turkey has 39, Korea 22). This limited diplomatic support network is sometimes criticized by Malaysian multinationals in private conversations, noting that they in fact wish for a stronger diplomatic support. Overall, Malaysia has significant investments across Africa that are diversified and therefore not overly reliant on commodities and the extractive industries. Africa matters to Malaysia as a market for securing resources, the distribution of goods and services, and as a destination for financial investments. Particularly when compared to China and India, Malaysia comes closest to eye level as an investment partner for many African states. However, what has been missing from further Malaysian success in Africa is stronger and more active political support by the Malaysian administration. Ever since Mahathir’s strong push into Africa – sometimes more or less forcing Malaysian corporations to invest on the continent – the Malaysian administration has been slow in their political and diplomatic support. Additional domestic pressure (often against all economic logic) on Malaysian state-owned enterprises and larger multinationals to invest domestically rather than in overseas markets will add pressure on Malaysian engagement in Africa. Malaysia is a strong and mature investor in Africa that – unlike many other Asian investors – operates in areas with significant future potential. It’s role across Africa is likely to grow further in the future and it is in the best interest of other external actors to further understand Malaysia’s engagement on the continent. Tim Steinecke is a consultant and researcher specializing in Asia-Africa relations and national oil companies. Tim can be found and contacted via Twitter @TimSteinecke. The views expressed here are the author’s own.